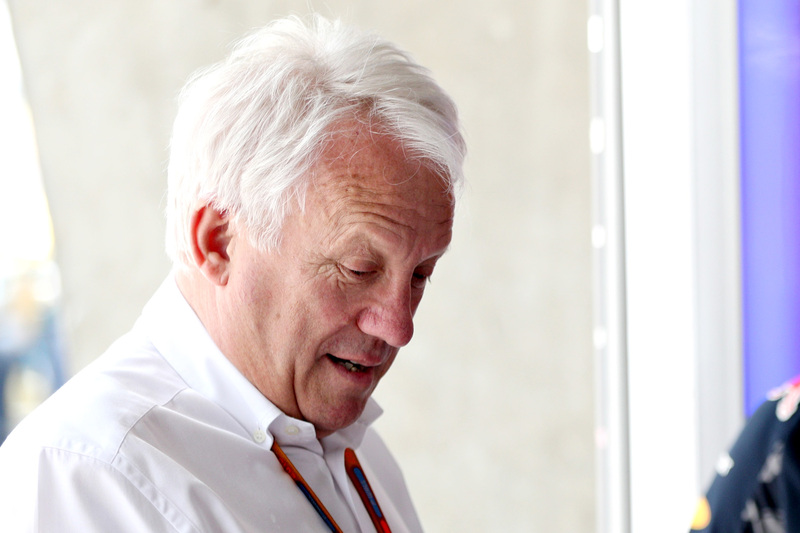 FIA race director Charlie Whiting says he will make liberal use of red flags in qualifying to prevent drivers from speeding under double waved yellow flags. Whiting’s position comes one week after Mercedes’s Nico Rosberg controversially survived a stewards investigation into him claiming pole position at the Hungarian Grand Prix despite being shown double waved yellow flags on his fastest lap. Rosberg defended his behaviour by arguing that he drove to the letter of the regulations, which state that a drive must slow “significantly”, but the explanation didn’t wash with most of his competitors. “I have spoken to Charlie [Whiting, FIA race director] for clarification, because in the next scenario, if I’m in the same position, all I have to do now is lose a tenth [of a second],” said Lewis Hamilton the morning after Rosberg’s not-guilty verdict. Sebastian Vettel was similarly incensed by the perception the incident created. “The worst thing about this is that we are an example,” he said. Driver behaviour in double waved yellow flag scenarios has long been a hot topic, and with a meeting of the F1 strategy group scheduled for the Thursday after the Hungarian Grand Prix the matter was guaranteed to appear on the agenda. In a special press conference convened on Friday at the German Grand Prix Whiting explained that he intended to prevent repeats of Rosberg’s Hungarian qualifying lap by using red flags to completely neutralise situations that would otherwise require double yellows. “Ever since we had the virtual safety car in 2015 and then this year, we’ve used it in free practice,” Whiting explained. “We can use it in qualifying, but we tend now to stop [the session] if there is going to be a yellow flag for any length of time. “The reason we didn’t show a red flag in Hungary was simply that the session had ended, but some cars were behind Alonso’s car and some in front, so I think the procedure would be to red-flag it any time there is a double waved yellow flag. “The stewards accepted Nico’s explanation — they looked at the and felt that he had slowed down — but then the question is: did he slow down enough? What is enough? Red flags thrown during races are also due for a regulatory update to prevent cars from being worked on during suspensions. Current regulations allow teams to repair damage, change settings, and switch tyres under red flag conditions, but Whiting says this rule is due for a change to improve the show. “If you remember Monaco in 2011, we were building up to a great climax in that race with Vettel on very worn tyres — Jenson and Fernando had pulled right up and it was looking like a really good ending. Under Whiting’s proposed adjustment to the red flag rule a race suspension would become a pause rather what is currently a de facto restart. “Basically the principle is that when we suspend a race it is normally done after the safety car has been deployed,” he said. “If the safety car continued, the teams would not be able to work on the car — they wouldn’t be able to change tyres and they wouldn’t be able to do anything unless they came into the pits — so this is just the same thing. As this change will require amending the sporting regulations, it must pass unanimously through the F1 strategy group, the F1 commission, and the FIA World Motor Sport Council to come into effect either this season or next season.